Crimp SB® Series SB50, SB120, SB175 and Powerpole® PP75, PP180 large contacts in a single tool. Rotating hexagonal dies are always in tool. For light and medium duty applications. Comfortable insulated grips. Safe, small lightweight and easy to handle. 15" overall length. The Handheld Hex Crimping tool is not endorsed by Anderson Power Products®. Only official tooling solutions recommended by APP may be acceptable for safety agency approvals such as UL, CSA and TUV. 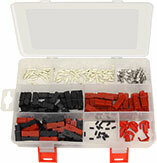 Official tooling solutions are available for purchase at a higher price. This user manual covers the proper use of the Powerwerx SBcrimp crimping tool. Please read the information contained herein carefully before using the tool. Using the Chart on the next page, determine the proper die position for the style of connector. To select the correct die set, push in the die pivot pins from the spring side and rotate each die to the proper position. Strip the cable insulation enough so that the bare conductor seats fully in the connector. Open the tool and position the connector in the crimp die set. Insert the bare wire into the connector. Fully close the die set for a proper crimp. Tip: Crimp each connector twice for maximum strength and conductivity. Always crimp near the end of the barrel first. The Powerwerx SBcrimp is factory lubricated with a low friction, high temperature synthetic lubricant. Additional lubrication may be required for very high usage tools. Simply add two or three drops of #30 weight oil to each pivot point. Circulate the oil by opening and closing the tool several times. Powerwerx support policy is simple; we want you to be happy! If you have a problem, please feel free to contact us and we will do our best to get you up and running as soon as possible. 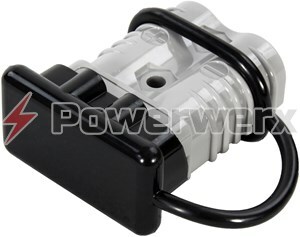 The Powerwerx SBcrimp has a one-year limited warranty. We will repair or replace your SBcrimp if you encounter any problems within one year of purchase. We reserve the right to charge a reasonable fee for repairing units with user-inflicted damage. It is your responsibility to ship the defective unit back to Powerwerx. We will pay for shipping the replacement to you within the warrantee period. This tool makes crimping larger gauge wire a snap. 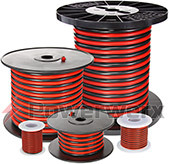 I have only used these with the PP75/SB50 along with both 6 and 10 AWG wire. It makes my life so much easier. Perfect crimp every time and easy as pie. Great product from a great company. Thank you, guys! These are a well designed product that do so much more than meets the eye. 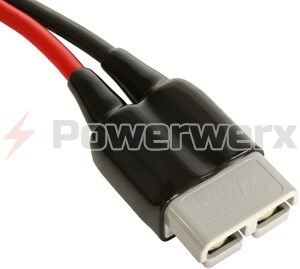 I have used this on SB50 and SB120 8, 6, and 2 gauge wire so far as well as #2 lugs that Powerwerx sells. This tool compresses them all!